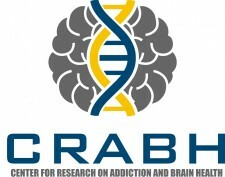 San Diego, California, August 7, 2017	(Newswire.com) - The Center for Research on Addiction and Brain Health, or CRABH, a 501(c)(3) nonprofit organization today announced its launch by publishing initial collected research on the subject of chronic pain and addiction. CRABH aims to investigate new and innovative therapies for addiction and chronic conditions by focusing on brain health. Many chronic conditions, such as chronic fatigue syndrome, neuropathic pain, and chronic pain, are linked to deficits or a level of dysfunction within the brain. Similarly, substance abuse and chemical dependencies are particularly harmful to the sensitive brain and nerve cells, which can result in the same level of dysfunction. CRABH may have found a hidden link between several chronic conditions and addiction, a B vitamin coenzyme known as nicotinamide adenine dinucleotide (NAD+). NAD+ is used by almost every cell in the body and is known for its crucial role in energy production. Tom Ingoglia, the founder and Executive Director of CRABH, created the nonprofit to help others who are struggling with chronic conditions and/or addiction and have had little success with conventional treatment. Seven years ago, Tom had an adverse reaction to a fluoroquinolone antibiotic, which threw him into a tailspin of declining health. His unrelenting chronic pain led to an accidental opiate addiction, followed hyperalgesia, digestive issues, mental fog, depression, and anxiety. Tom decided to try intravenous NAD+ therapy, which ultimately changed his life and career forever. After 10 days of NAD+ therapy, Tom walked away free from pain. Since then, Tom has partnered with Phillip Milgram, MD, Medical Director at the NAD Treatment Center, to help bring this promising therapy to others who are looking for a health driven solution. With CRABHs launch today, two white papers have been published with the help of volunteers, Madelyn Huttner and Samantha Raya. The researchers stepping forward to donate their time understand the mission of this non-profit and are excited to be involved with the initial phases of research. In only days of launching, CRABH has already collected more than twenty thought leaders to speak on the newest innovations in brain health and addiction at the Third Annual NAD Summit January 26-28th, 2018 in San Diego, California. Hosted by CRABH, this event will be a gathering for researchers, innovators, and advocates, including John Gray, Ph.D., to discuss and provide insight on brain health. All contributions are welcome and donations are tax deductible. Located in San Diego, the Center for Research on Addiction and Brain Health is a 501(c)(3) organization researching new and innovative therapies for chronic conditions and addiction. In conjunction with the NAD Treatment Center and Springfield Wellness Center, the Center for Research on Addiction and Brain Health is investigating the therapeutic effects of intravenous NAD+ on addiction and specific chronic illnesses. For additional information, visit us online at Brainresearch.center. About NAD+ (Nicotinamide Adenine Dinucleotide) is a simple metabolic coenzyme of Niacin, a B Vitamin that is involved in energy production for every mitochondria within our bodies. Research has shown that people afflicted with addiction, alcoholism, stress, and depression, have an NAD+ deficiency. Intravenous treatment replenishes the supply of neurotransmitters and promotes healthy brain function. It is based completely on nutrients that are found naturally in a healthy body. The Center for Research on Addiction is a nonprofit organization investigating the impact of non-traditional therapies on addiction and chronic illnesses.